Are Meal Replacement Shakes and Smoothies Healthy? July 12, 2018 Leave a Comment on Are Meal Replacement Shakes and Smoothies Healthy? The hottest sips right now claim to deliver every vitamin and mineral your body needs. But before you pour, here’s what you should know. First there were protein shakes–the answer to post-workout replenishment. Then those fruit and veggie powerhouses, smoothies. 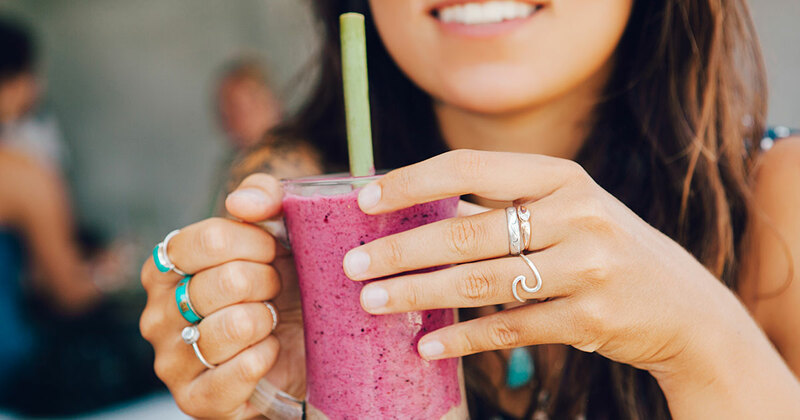 Now new earthy-tasting concoctions are moving in on the beverage lists of fit women. The healthiest of these drinks are packed with ingredients derived from whole foods, like grass-fed whey protein, organic brown rice protein, psyllium husks, flax, and chlorella. But are they really such a savior? Well, nothing beats eating whole foods, period. The experts agree on that. While the sips aren’t an all-in-one health fix, Blake says that if you occasionally skip meals or grab a granola bar for lunch, the drinks can be your better option. If you’re going to give the new shakes a shot, here’s what to watch for in order to pick the best one. As a stand-in for a meal, a shake that provides 350 to 400 calories, at least 20 grams of protein, and little to no added sugar is best, Blake says. That’s enough to keep you satisfied and provide steady energy for hours. “The fewer ingredients a shake contains, the better,” Blake says. Some drinks’ labels practically require a chemistry degree to decipher. Shakes with ingredients derived from whole foods will deliver more of the antioxidants and phytonutrients that less-natural ones miss out on.